I’d been lusting after this book since I first heard about it early in 2015, and I received it in the mail the day it came out, but I only just got around to reading it thanks to the insane influx of books from BEA. I’ve been starting and giving up on a lot of books recently, just not finding anything that tickles that hard-to-reach spot in my brain that makes me sit and read for hours to the exclusion of all else. 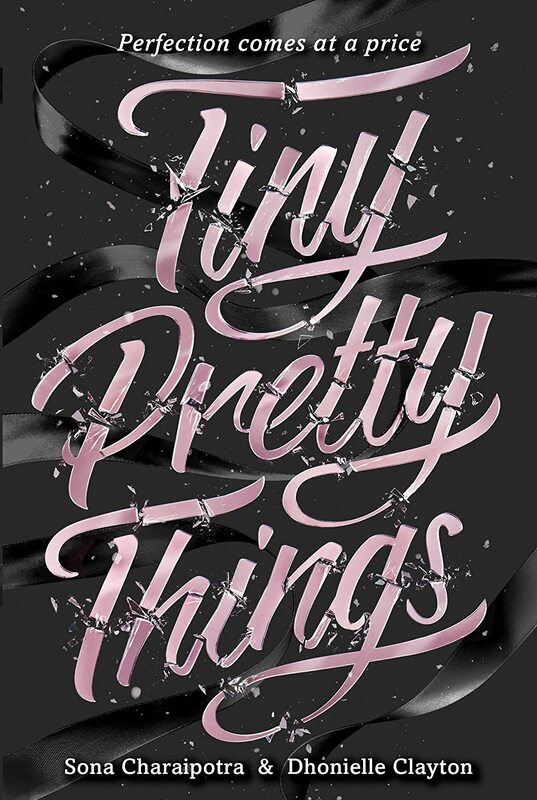 Tiny Pretty Things tickled that spot juuuuust right. I was a dancer back in the day. Not a ballerina, certainly; my utter lack of grace and my body’s insistence on holding onto about 20 extra pounds at any given time pretty much eliminated the chance for any enjoyment of or talent for ballet. However, I was a tap dancer, and—if I may say so—a pretty darn good one. But I know how it feels to be the outcast, the one always passed up for roles in favor of the favorites. I know how it feels to be on the receiving end of the popular girls’ indifference and occasional scorn. So Tiny Pretty Things struck a chord in me. But as difficult as my own dance experience was, it seems like a picnic compared to horrors depicted in this novel. At the American Ballet Conservatory, the feeder academy for the American Ballet Company, students are under immense pressure to succeed. Six hours of practice a day, plus regular high school classes and cutthroat competition leave little room for friendships. Gigi, a new student from California, has never experienced an environment like this; at her carefree studio at home, there was a mix of black and white girls, and everyone held hands before and gave heartfelt, excited hugs after casting announcements. Not so at the Conservatory; here, Gigi is the only black girl, and students wait in petrified silence for casting announcements…and give only perfunctory congratulations after. When Gigi is cast in the lead role for the Nutcracker, tensions surge. Bette, a legacy student at the conservatory, has anticipated being cast as the Sugar Plum Fairy ever since her older sister, Adele, was cast in the role several years before. Adele’s a legend at ABC, and everyone expects Bette to follow in her footsteps. June, Gigi’s roommate, is tired of being cast in understudy roles, and is willing to go to extreme lengths to take what she believes is hers. Tiny Pretty Things was just what I needed. Having once been mistakenly called an “evil ballerina” (long story), I can now say for certain that I have neither been nor have I had the misfortune of meeting an evil ballerina. Because dude, some of these ballerinas were pure evil. Being tiny and pretty and a perfect size zero comes at a price, y’all, and sometimes that price is sociopathy. But more often, the price is anorexia, bulimia, drug addiction, and worse. The antics of these girls kept me reading all day long. The only thing that knocked Tiny Pretty Things down a peg for me was the lack of resolution at the end. There are some things that happen that aren’t quite settled, but maybe it goes to show that it doesn’t really matter; cutthroat ballerinas are going to continue being cutthroat ballerinas, and even if one instigator is removed, another one is probably waiting in the wings to take her place. It’s definitely also possible that I was reading too fast at the end to pick up on hints or whatever, but the “who” was never explicitly specified as far as I could tell, and I’m personally a fan of closure. But really, I can’t complain too much about a book that kept me hooked from the very beginning. I don’t usually read a lot of YA, but I made an exception for this one, and I’m glad I did.